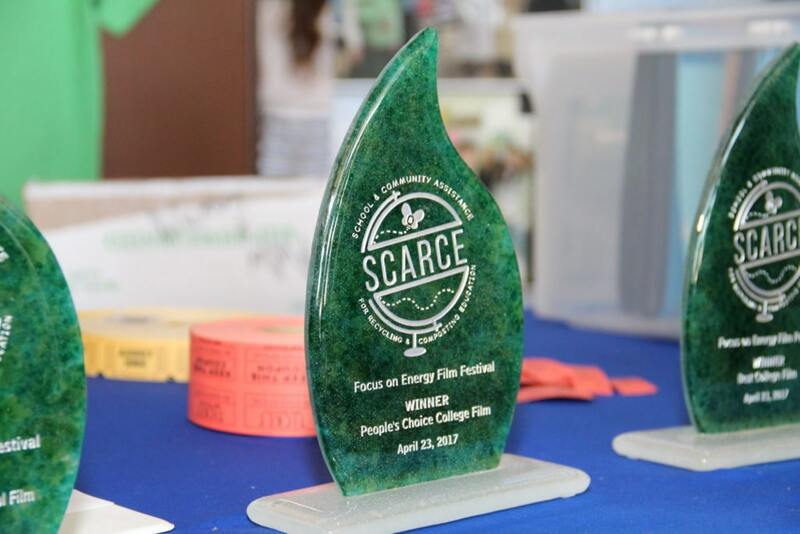 On Sunday April 23rd SCARCE’s Focus on Energy film fest culminated in a showing of the diverse smart grid films submitted by local college and high school students at Studio Movie Grill in Wheaton. 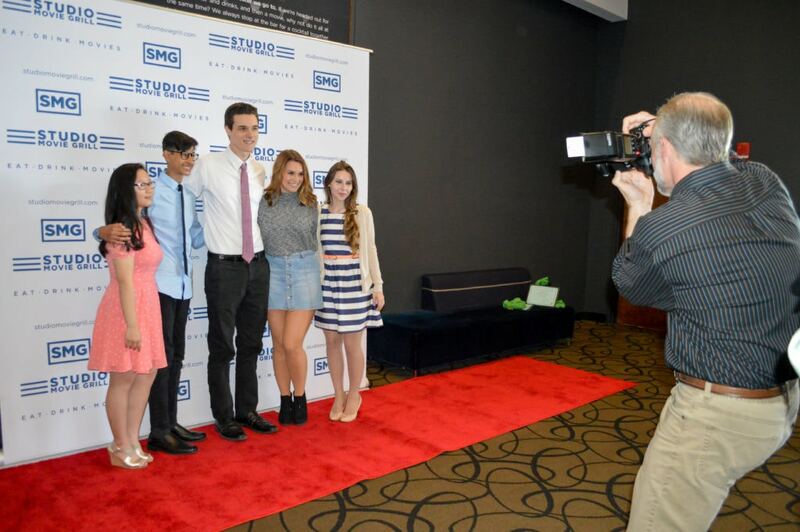 Teachers, judges, students, family, and community members came together to walk the red carpet, view the films on the big screen and hear a bit from student teams about the filmmaking process. 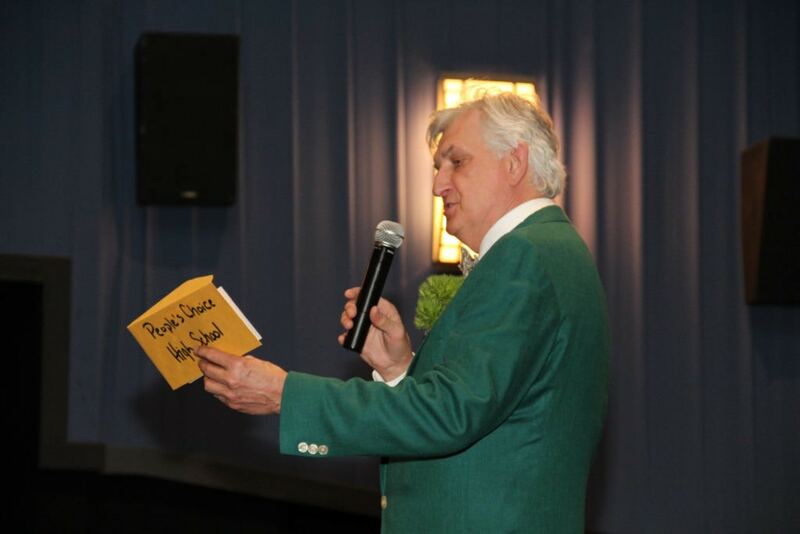 The event was emceed by radio host Mike Nowak. 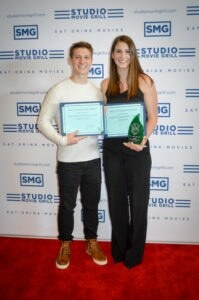 After showing the films, winners were announced in two categories. “Best” films were voted on by a panel of judges according to a grading criteria. “People’s Choice” awards were based on popular online voting. One bonus award was given by SCARCE director, Kay McKeen. 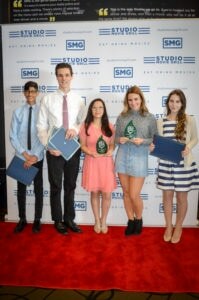 Students with winning films won $1,000 cash awards and their schools were awarded video equipment that the winning teams used to make their films. 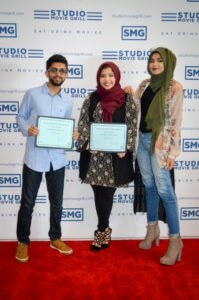 Studio Movie Grill accommodated the event so that it could be zero-waste, serving meals in compostable or recyclable food containers that we sourced. SCARCE collected the compostables and had them taken to a commercial composting facility for organics recycling. All the films can still be viewed here. SCARCE thanks all the students, teachers, and judges that participated. 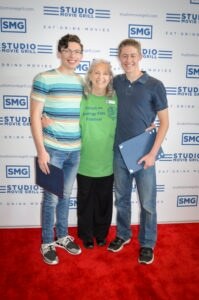 Thanks to Studio Movie Grill for the wonderful venue and service. 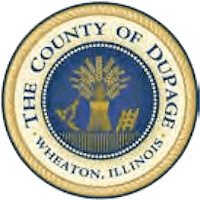 Big thanks to the Illinois Science and Energy Innovation Foundation for awarding the grant to SCARCE for this exciting smart grid education project.